Shades of Gray: from the Adventures of Alex Winger.” 2009, originally published as a web exclusive in the Hyperspace section (members only) of starwars.com; Oct. 2012, made available by Penguin Random House and now resides on Unbound Worlds. “A Certain Point of View.” Star Wars: Tales from the Empire (New York : Bantam, 1997). “A Glimmer of Hope.” also reprinted in The Best of the Star Wars Adventure Journal (Honesdale, PA : West End Games, 1996). 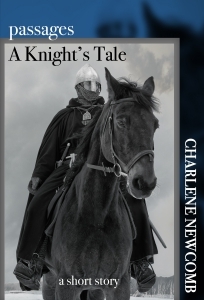 “Betrayal by Knight,” co-authored with Patricia A. Jackson. “Crimson Bounty,” co-authored with Rich Handley. One unpublished story, “The Contact,” a sequel to “Crimson Bounty” and co-authored with Rich Handley, lives on at the Star Wars Expanded Universe Timeline. Rich and I had submitted it to West End Games (WEG) and had a signed contract, but it got mired in the dust when WEG lost the Lucasfilm license to publish RPG materials. * Between 2004-2009, all these stories were republished on starwars.com with the exception of “Crimson Bounty.” Unfortunately, when starwars.com was revamped in 2010-11, the short fiction disappeared.